Flight simulators, Car simulators and even Bus simulation has become a popular genre of games and until now, a suitable train simulator which was easy to use has been hard to come by. With Railworks' Train Simulator 2012, you get right into the nitty gritty of conducting a train and get to try out all of the realistic features included with the game available on the Steam platform! 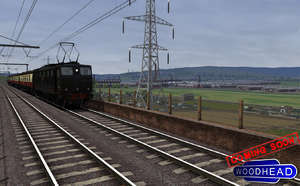 The graphics is Train Simulator 2012 are highly realistic and from some views, even breath-taking. From within Train Simulator, you're able to choose from a variety of different locomotives and trainset setups including some more modern and even some historical trains set in the US, Great Britain or Germany. RailWorks Train Simulator 2013 is a shareware program and can be used as a demo to try the software until the free trial period has ended. A full version of the program is available after the trial period ends. For security reasons, you should also check out the RailWorks Train Simulator download at LO4D.com which includes virus and malware tests. Additional screenshots of this application download may be available, too. Train Simulator 2012 has a presence on social networks.